Muller Honda is excited to help recent, or soon-to-be college graduates, celebrate their accomplishments by offering a Honda College Graduate Program. Interested to see if you qualify for $500 toward any new 2018 Honda vehicle? Get in touch with our welcoming Honda dealership in Highland Park, Illinois to see if you qualify! Our finance department is up-to-date on all that this program includes and we encourage you to contact our Muller Honda staff to learn more. Our new and used Honda dealership is excited to hear from college graduates in the Chicago and Evanston, IL areas, so don't hesitate to reach out to our staff to see if you qualify! Once you've provided the required documents to our financing team, such as a copy of your diploma or college transcripts, get your Honda search started!  This program is for well-qualified customers, and it's important to note that only one $500 Honda College Graduate certificate can be applied per vehicle. The College Graduate offer cannot be combined with the Zero Due at Signing Lease Program and is not eligible for certified used or pre-owned models. Should you decide to lease the Honda, the $500 will be applied toward the cap cost of the model. If you're interested in purchasing over leasing, the $500 will be applied towards the down payment. Contact our Muller Honda team for more details soon, as this offer may be terminated at any time and is currently valid through March 31, 2020!